Award-winning Websites, Branding, Graphics, Content, & Design. Stylish Design Work and Website development with a keen design eye for local and international brands, individuals, & companies. Congratulations to Copperline, designed by 286blue, winner of the “Best Designed Blog” award in the Amara Interior Blog Awards. Based in Eastbourne, on the Sunshine Coast of Sussex (it’s official, Eastbourne gets the most sunshine hours in the UK), award-winning design agency 286Blue creates stylish brand identities, logos, websites, and content for companies of all sizes; locally, nationally, and internationally. From new start-ups to established businesses, 286Blue produces affordable print and web work with a keen design eye to help brands stand out from the mainstream and differentiate themselves from competitors. Get in touch about creating branding, graphics, content, or a website for your business, and take a look at some of our work. A great company name, logo, & brand identity are the most important factors in today’s crowded marketplace to engage emotionally with customers. 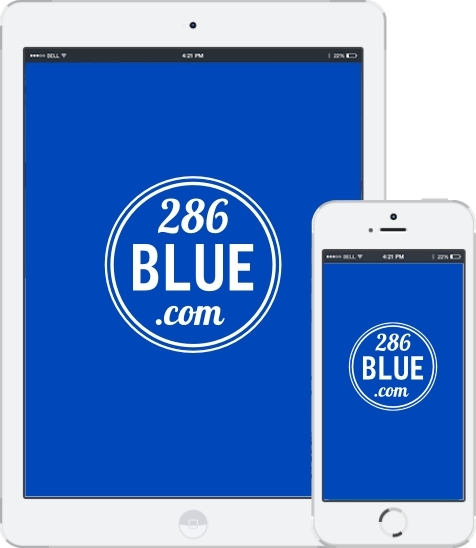 286Blue creates stylish & distinctive brand identities that help a business stand out. Whether it’s a simple one-page site or an in-depth blog or shop, it’s vital for every business and brand to have a website. At 286Blue, we believe a website should be as simple and stylish as possible to make your company shine. Sometimes it’s hard to find the words and an external voice is needed to capture the authentic personality of a company. 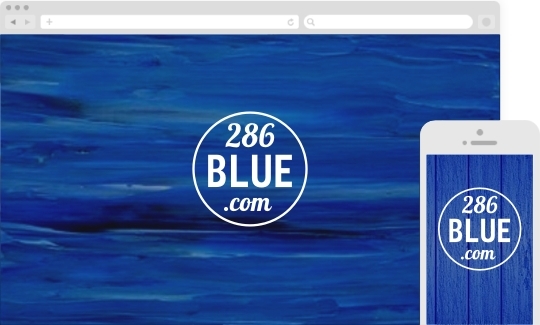 286Blue creates engaging copywriting and online videos to help spread the word. At 286Blue, we believe a website is your brand’s shop window and should be clean and stylish to make your company shine. 286Blue brings a keen design eye to make your website enticing. Trust, authenticity, friendliness, elegance, professionalism; used correctly, graphics can help potential customers to choose your business over others. Social Networks provide an unique opportunity to engage customers in conversation and engender brand loyalty. 286Blue can talk with, rather than at, potential customers. 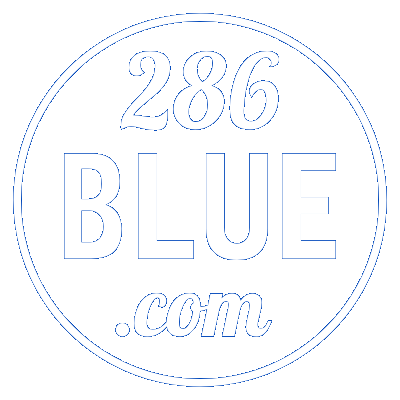 286Blue creates videos, press releases, company histories, product descriptions, as well as snappy text for websites to help drive customers to your door. Select which items you'd like 286Blue to discuss with you. Please give as much detail about your company and what project you're enquiring about 286Blue working on. 286blue uses a respected & secure third-party service for the mailing list, based in the USA, who subscribe to the EU-US Privacy Shield Framework to ensure your data is fully protected. Tick here to confirm you wish 286blue to contact you regarding your message. Use the form to get started on your new branding, graphics, or website project, and we’ll be in touch to discuss options, inspirations, and objectives.